Binary (nucleotide-protein dimer and hexamer complexes) and ternary (nucleotide-protein-inhibitor complexes) p97 complexes were subjected to molecular dynamics simulations in an attempt to further our understanding of the p97 protein oligomer domain stability and, more importantly, of the recently reported diverse molecular mechanisms of inhibition including allosteric, ATP-competitive and covalent inhibitors. Analysis of stable states following equilibration phases indicated a higher intrinsic stability of the homohexamer as opposed to the dimer, and of N-D1 domains as opposed to the D2 domain. The molecular dynamics of the proposed allosteric binding model reproduced important molecular interactions identified experimentally with high frequency throughout the trajectory. 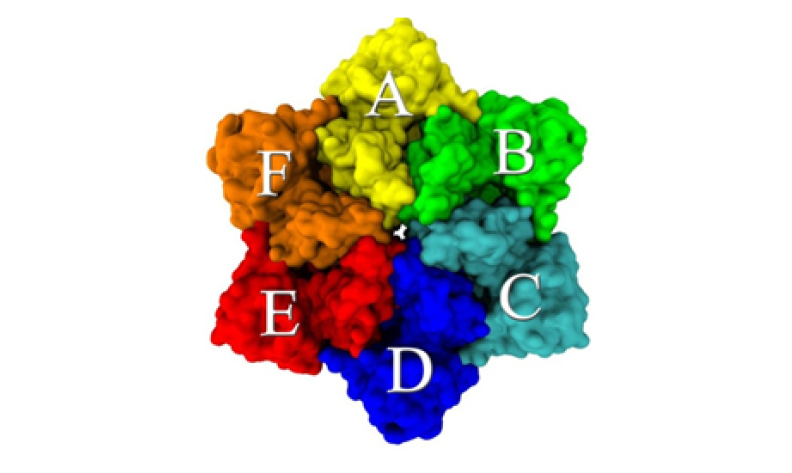 Observed conformational changes occurring in the D2 nucleotide binding site provided a novel bind-rearrange-react hypothesis of stepwise molecular events involved in the specific covalent inhibitor mode of action.